Measure all your sports, track your progress from one session to the next, and find the right training session to fit your goals: starting to run or getting back on track, losing weight and keeping fit, gearing up for a race. 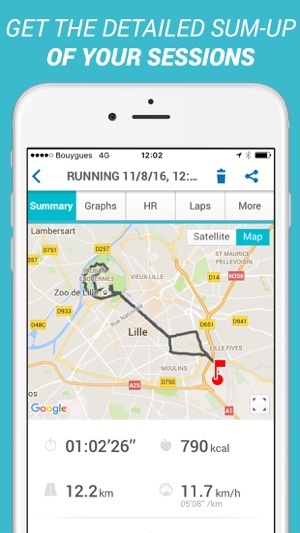 Decathlon Coach is a multi-sport mobile application (for Running, Biking, Sport Walking) to measure your speed, distance covered, calories burned, difference in altitude etc. Configure the values you want to monitor on your screen or in your earbud using the audio feature, in real time. You want to start running (again)? Over 4 to 6 weeks, starting with 30-minute sessions alternating walking and running, find your pace to run for 45/50 min without stopping! 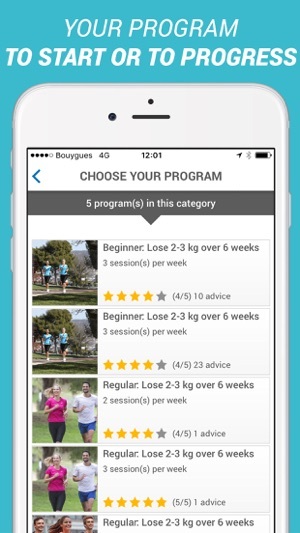 DECATHLON COACH can also suggest 6-week plans for those wanting to shed a few kilos or simply keep fit, at a rate of 3 sessions a week. Are you planning to take part in a race with no idea how to gear up? Follow Philippe Propage, international trainer and Kalenji coach, over 8 weeks to reach the finishing line without a hitch! BOOST YOUR PERFORMANCE: Follow the coach or exercise by yourself! Interval training involves alternating fast spurts and gentler phases in the same session. This type of training helps you run faster, including during endurance runs. Philippe Propage suggests exercises and gives running tips. 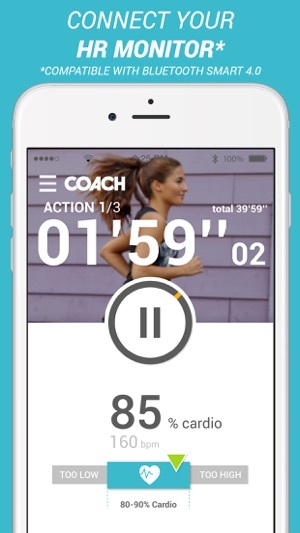 The application provides audio encouragement as you exercise. Would you like to include your own exercises? You can do this too, by entering them manually. You get to customise your sessions to a T.
It's important to measure your heart rate for insights into the effort you are putting in and to progress safely. The cardio gauge explains the benefits of your effort at any given time: Blue = warm-up, Green = Endurance, Orange: Resistance, etc. *The cardio feature requires a Cardio Bluetooth 4.0 (such as Cardio Bluetooth SMART) Compatible with iPhone 4S and above. Are you proud of your session? Quite right too! 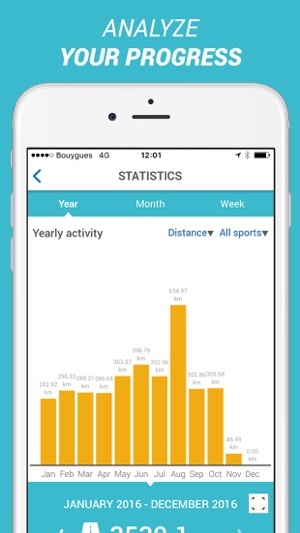 Decathlon Coach lets you share your session AND compare it with your friends with the podium available among friends. 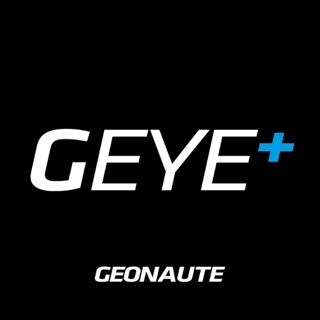 Information : Continued use of GPS running in the background can dramatically decrease battery life. We did some bug fixes and enhancements thanks to your feedbacks. In addition we have new fitness workout available. Don't hesitate to contact us if you encounter any issue. What should we write in the password box to sign up??? 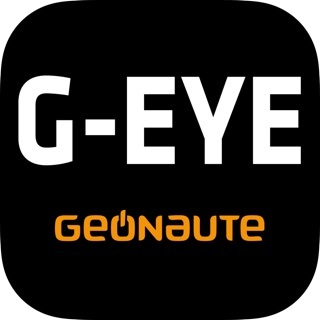 Nice app, but a big snag! 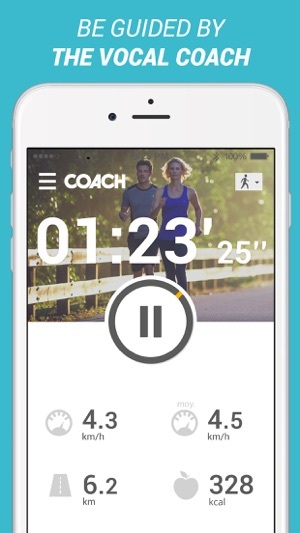 This is a nice app especially targeted to anyone wishing to do interval training. It is easy to select the type of intervals, and the audio cues are very helpful to follow the workout plan. Although there are some items that could be improved, my biggest complaint is that since two weeks ago this app has lost his ability to sync with Decathlon web server. This matters because only after syncing it is possible to access the workout graphs in detail. Customer support was responsive the first time I reported this situation, but after suggesting one solution that didn't work, I just get silence from them.